Fearless Everyday with Kheris Rogers! TONIGHT ON FEARLESS EVERYDAY: the incredible mini mogul Kheris Rogers of Flexin’ In My Complexion! 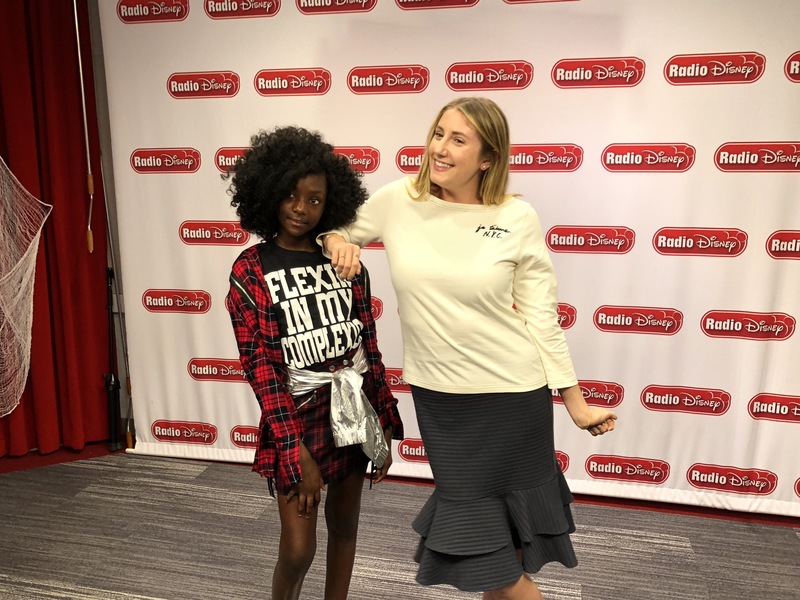 When Kheris came into the Radio Disney office I couldn’t help but smile throughout the entire interview. Her inner confidence is infectious, and she was nothing but a gem to sit down with and learn from. She started a clothing line to empower young girls around the world to be confident with who they are. Kheris is so young yet her wisdom is changing the world and empowering people to love who they are. I’m her biggest fan! Share how you’re fearless on social media with me using the hashtag #fearlesseveryday too! You may just make it into an upcoming episode! Fearless Everyday will air Fridays at 9 PM PST, Saturdays at 7 AM PST & Sundays at 5 PM PST!